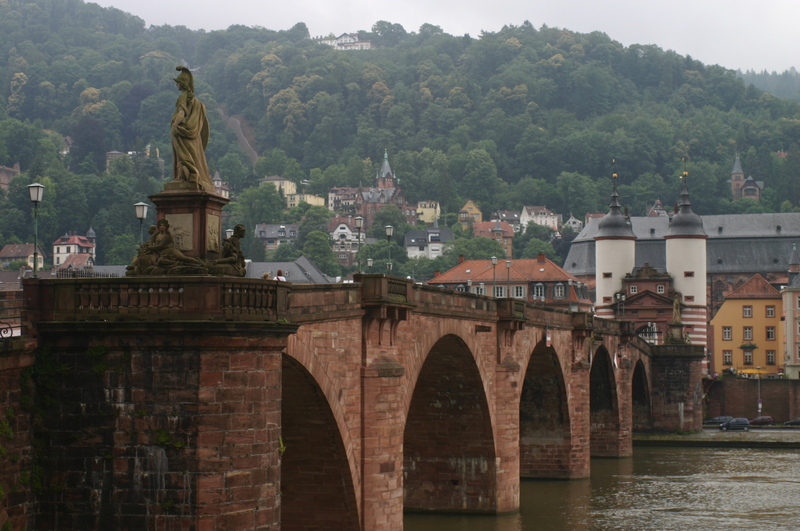 Germany’s oldest university is in the lovely university city of Heidelberg. This is also where Expatkimchi Mama and Papa got married. I wrote this post yesterday for the German Way blog on why Americans should consider pursuing a BA in Germany for free and perhaps why not. Where will our Expatkimchi kids study: the US? Germany? Elsewhere? Expatkimchi Mama and Expatkimchi Papa have been saving money aggressively for all three of their Expatkimchi Kids so that they can have a choice in the matter. The monetary cost between an American degree and a German one are like night and day, and I think the difference in experience is correspondingly so. My husband, who came through the German system, thinks that the quality is different too. I’m inclined to agree; you get what you pay for. In America, you get a lot of hand holding and fringe benefits. Having said that, access to education is one of the most important social benefits in a society. It makes sense that here in the birthplace of the social welfare state, implementing tuition has failed, and we’ve created an educational haven for everyone by putting a university education within reach. Tags: college, expatkimchi, German education, German Way Expat Blog, Germany university, Heidelberg, Jane, parenting, tuition, university. Bookmark the permalink. I agree with you. You often get what you pay for. Relating the experience of a former student of mine, coming from Middlebury College to do an exchange year at a German university. She was very surprised by the general lack of motivation (student body and professors). She was given more attention though, because of her paying status, than her German peers. However, she was quite shocked and disappointed in the German system. She had come with high expectations. Again, this might differ from university to university, from field of study, location, etc. But in general, anything which is given to you at no cost, gets little appreciation. We have established college funds for both kids as well. One is in his third and final year in the U.K., child 2 is soon to follow. Maria, your argument makes absolutely no sense. Americans get “free” education in elementary, middle and high school, and much of it is thorough, so by your line of reasoning, are all those 12 years of education in the US basically worthless too? Nonsense! You fail to grasp that education is not a “commodity” like jewelry or a nice car where the price usually (somewhat) correlates with the value you get. Rather it’s a societal investment that more than repays itself– a multiplier. The idea in Germany (as well as Nordic countries where education is also free) is that graduates, when they finish without any debt, are much better able to start businesses, get good jobs, build their savings, buy houses and in general contribute to the economy, which makes it stronger. And studies have shown this is true– new graduates in the United States and Britain, because of their tremendous deb (the USA has $1.3 trillion in student loan debt), are starting businesses at a historically low rate, are unable to buy houses or otherwise to get settled in. Which is causing tremendous long-term damage to their economies (for example consumer spending among the young generation is also at historic lows, a very bad sign for the future). This is why free education for essential skills makes sense. I would strongly urge you to reevaluate your plans, since you’re probably getting a bad deal. I’ve known plenty of Americans and Britons who did study for free at German universities, and their experience was the opposite of yours– people were very motivated in part since they have to do well on the exams to stay there, otherwise they have to rethink their plans. And in turn, all the money you’re saving up for your kids’ college funds (while you deny your kids the option of free university in Germany), means you have less money to provide them for much better investments for that money. For example, the money you’re unnecessarily setting aside for high-cost college tuition could be used to help your kids start businesses, or to invest in a starter home. But because you’ve used it up on college expenses, you’re depriving them of those opportunities. And as I was emphasizing above, you’re not giving them anything extra by having them go to college in the US or UK, quite the opposite. (League table rankings don’t work for international college comparisons because they structure their teaching and research differently, ex. German universities do their research at outside-university facilities like the Max Planck Institute, so it doesn’t factor into the rankings.) I would strongly urge you to reconsider your plans, for the sake of your own kids opportunities.